In the following section we will cover some tips and tricks that you can use to help unlock the full potential of UE4 and SteamVR. Each time the editor is launched the display will flicker when the SteamVR compositor takes over. To stop this from happening you can do the following to keep the compositor running in the background at all times. 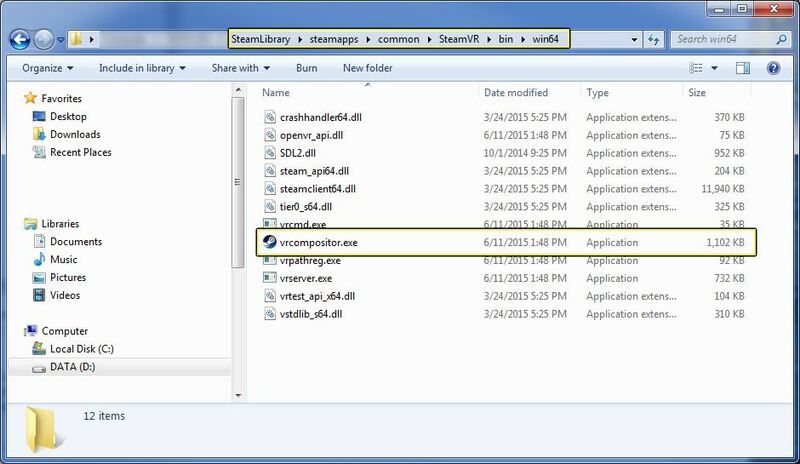 Locate the vrcompositor.exe file that should be in C:\ProgramFiles(x86)\Steam\steamapps\common\SteamVR\bin\win64. 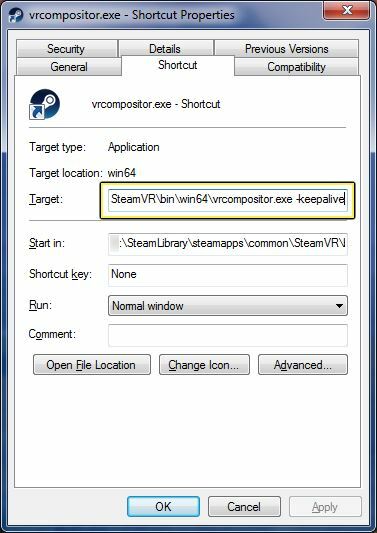 Create a shortcut to vrcompositor.exe and then send that shortcut to your desktop. Right click on the shortcut that was placed on your desktop and then click on Properties. Inside of the Shortcut menu in the Target input add -keepalive after the .exe and press the OK button when done. Now when opening up the UE4 editor you should no longer have a flickering problem.